Want to start your own online store, need a website design for your shopping cart or b2b website. A good website layout and design can help you to boost your online sales, for ecommerce website, a proffesional website design is must as it has been found out, people tend to spend online on those websites which are proffesional and attractive. 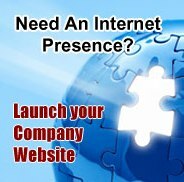 Kolkata Web Hosting has been developing ecommerce websites since 2005, we have designed many ecommerce websites for different products like Saree, T Shirts, Baby Products, Toys, Gaming Machines, Computer Hardware, Computer Software, Flowers, Gifts, Art Gallery, Tour Organisers etc. We offer a complete ECommerce solution, from design to ecommerce programming, data storage and credit card or online payment processing, we can handle all your ecommerce requirements. Kolkata Web Hosting offers ECommerce website design from Rs. 15,000.00 - Rs. 4,75,000.00, depending on ecommerce aspects and complexities.